Thermal Mastic is a must use product when a cooling unit is installed to give the correct transfer of heat from the interior of the refrigerator to the coils leaving the cold. I know it does no sound correct, but a cooling system does no produce cold, it removes heat. Once the heat is removed an what's left is cold cold. The more heat removed the colder it will be. One tube is more than enough for a cooling unit change out job. 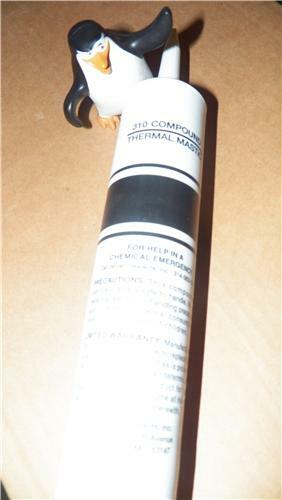 since tube of thermal mastic ships with each cooling unit we ship out. This listing is for customers needing to remove the cooling unit to either reseal or apply the thermal mastic, because the service tech did not do the job correct.